There is no question that thousands if not millions of people end up taking stimulants unnecessarily these days. Addiction psychiatrists, have a unique perspective on this that I thinks goes beyond a typical approach to the problem. I like to consider it to be grounded in behavioral pharmacology and neuroscience. For the sake of this essay I will limit my remarks to all adults who are college aged or older and should not be taking stimulants. Neuroscientific discoveries in the area of brain maturation suggest that a significant portion of the college-aged individuals might not make the same decisions they make a decade later, but the practical consideration is that there are millions of people in college making decisions about stimulants every day. There are several ways to look at the problem. The best approach I can think of is to look at the various ways that patients present for treatment. The request for stimulant treatment can be subtle or overt. Unlike some the papers in the current literature, I don't think that the diagnostic questions here are subtle. During an initial clinical assessment - diagnosis and treatment commonly overlap and in some cases that I will illustrate treatment considerations become primary in the initial minutes of the interview. The general psychiatric interview has always been a screen of sorts. My recollection is that it was typically more problem focused in the past. Over time, that interview started to incorporate more disorders as a focus of inquiry. On the outpatient side the disorders added been primarily Post Traumatic Stress Disorder and Attention Deficit-Hyperactivity Disorder in non-geriatric populations. Any time a screening is being done whether it uses a symptoms checklist or a lengthy interview there is always the chance of missing the true diagnosis or adding a diagnosis that is probably not there. Here are a few examples. 1. "I have been depressed for the past ten years...." An inquiry about mood disorders at some point will focus on concentration. Impaired concentration and attention span occurs in a number of psychiatric disorders. Combined with some developmental history and a history of chronicity it is easy to see the problem as a missed diagnosis of ADHD and initiate treatment for that disorder in addition to the primary mood disorder. There are problems with that approach especially when the history of the mood disorder is clear and it has never been adequately treated. 2. "I have a diagnosis of bipolar disorder - manic and these medications aren't working...." ADHD in adults rarely presents as hyperactivity so severe that it could be mistaken for mania. Manic episodes are also phasic disturbances making it very unlikely that there would be many patients in any single practice who were both manic and had ADHD. In the cases where it does happen stimulant treatment complicates the treatment of bipolar disorder and can lead to worsening mania, delusional thinking and hallucinations. 3. "My son/daughter has ADHD....." There are two variations in this interaction. In the first, the parent is told about the high heritability of ADHD and advised that they also probably have it and can be assessed for it or mention to their primary care physician that they may need treatment for it. In the second, the parent of a child with an ADHD diagnosis reads the diagnostic materials and comes into an appointment and says: "You know, I have read the symptoms and think that I have them. Should I be treated for ADHD?" 4. "I have always had a problem reading and I was never any good in school..." A common approach is to view this as ADHD, do the screening and proceed with treatment. Physicians in general have had very little training in the assessment or treatment of learning disorder and although there is comorbid ADHD and learning disorders there is also a significant population of people with pure learning disorders who do not have ADHD. 5. "I took my friend's Adderall and felt like I could concentrate and study for the first time in my life. I did a lot better on that test...." The population-wide bias is that stimulants are a specific treatment for ADHD rather than a drug that will temporarily improve anyone's energy level and attention span. There is also the cultural phenomenon of cognitive enhancement or using stimulants as performance enhancing drugs that may be driving this request. It is known that the availability of stimulants on campuses and in professional schools is widespread. This is associated with students selling their prescriptions for profit and availability of stimulants illegally obtained for the purpose of cognitive enhancement. The issue is further confused by position statements in scientific journals that support this practice. I have not seen it studied, but it would be interesting to see questions and responses about cognitive enhancement asked at student health centers and practices that see a lot of college and professional students. 6. "I have ADHD and need a prescription refill...." It may be true that the patient has a clear-cut documented diagnosis prior to the age of 12 (DSM-5 criteria). But what has happened since that initial diagnosis in childhood and now is critical history. Has there been continuous treatment since then or has the treatment been disrupted. Common causes of disruption include stimulant side effects, symptom resolution with age, and co-occuring substance use problems. A detailed history of the course of treatment since childhood is needed to make the decision to continue or reinitiate treatment. 7. "I heard you had a test for ADHD...." This question often initiates screening at a higher level. There are any number of places with extended neuropsychological batteries, brain imaging tests, or EEG tests that they claim will definitively diagnose ADHD. In fact, there are no tests with that capability. I have heard one of the top experts in the world on ADHD make that same statement and he was also a neuropsychologist. I have had several years of experience with quantitative EEG machines and know their limitations. At this point several hours of extended testing adds nothing to a detailed interview, review of collateral information, and symptom checklists to basically assure that all of the questions have been asked. 8. "My meds need to be adjusted....." This could be a question from a person in treatment for another problem or a person already being treated for ADHD. The unstated issue here is the underlying belief that by adjusting a medication one's mental processes will be closer to perfection. A child psychiatrist that I work with said it best: "The goal in treating ADHD is to get them more functional, not to perfect their functioning." I think the unrealistic goal of perfection drives a lot of prescriptions that exceed the recommended FDA limits. It also explains a lot of "rescue medications" superimposed on sustained release preparations like Adderall. Anyone familiar with the pharmacokinetics of sustained release drugs should realize why rescue medications (like immediate release Adderall on top of sustained release Adderall XR) are unnecessary. 9. "I can't stay sober if I can't get treated for ADHD....." This can be a complicated and confusing situation. The child psychiatry literature had suggested initially that children with treated ADHD were less likely to have substance use disorders as adults than children with untreated ADHD. As the evidence accumulates that is less clear. Many adult psychiatrists and some addiction psychiatrists have extrapolated those equivocal findings to mean that treating a known or new diagnosis of ADHD in an adult will improve treatment outcomes for ADHD. There is no evidence that is true. Some addiction psychiatrists believe that the opposite is true, that there is a cross addiction phenomenon and that treating a person with an addiction makes it more difficult to stay sober from their drug of choice. 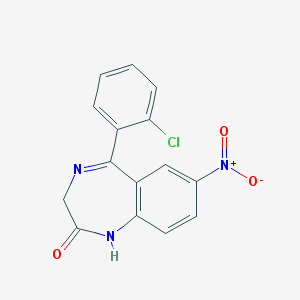 If the person is addicted to stimulant medication and has a clear history of accelerating the dose of stimulants or using them in unorthodox ways (intravenously, smoking, snorting, etc) it is very unlikely that person will be able to take a stimulant prescription in a controlled manner. It is also very possible that the person making this request has a long history of experiencing prescription or street drugs as being necessary to regulate mental functioning. That can be highly reinforcing even if the effects are sustained for hours or less. 10. "I have been sober for one month and can't focus or remember anything......" Subjective cognitive problems are frequent during initial sobriety. The substance used and total amount used over time probably determine the extent that the cognitive changes persist, but it is a difficult problem to study for those same reasons. Clinicians know that there are cognitive effects but there is no standard approach to the problem. From my experience, I think that two months sober is the absolute minimum time to consider evaluating subjective cognitive problems. Even at that time getting collateral history about the person's cognitive and functional capacity and problem solving with them on work arounds would probably be the biggest part of the treatment. The above scenarios are not exhaustive and I probably could come up with another 5 or 10 but they are illustrative of pathways to questionable stimulant use. The common thread here is that anyone in these scenarios can endorse all of the symptoms of ADHD. Figuring out what those symptoms are is fairly obvious on many checklists. One of these checklists shows the symptoms and checkboxes necessary to make the diagnosis in grayed out panels. It is easy to fake the symptoms in an interview or on a diagnostic checklist. It takes a lot of hard work on the part of the physician to figure out not only who might be faking but also who has the symptoms but not the diagnosis. One of the features of the DSM that was attacked by several critics during the pre-release hysteria was the "generic diagnostic criterion requiring distress or disability" to establish disorder thresholds (DSM-5 p 21). In the case of ADHD that is Criterion D "There is clear evidence that the symptoms interfere with or reduce the quality of social, academic, or occupational functioning." (DSM-5 p 60). The diagnosis of ADHD is generally not the diagnosis of a severe functional disorder. As a psychiatrist who practiced in a hospital setting most of the people I assessed clearly met the functional criteria by the time I saw them and diagnosed severe mood disorders, psychotic disorders, substance use disorders or dementias. Many of them were by definition unable to function outside of a hospital setting. It is an entirely different assessment when faced with a successful professional who has worked at a high degree of competence for 20 years who presents with any one of the above problems because they think they have ADHD. It takes more than a review of the diagnostic criteria. It takes an exploration of the patient's motivations for treatment. What do they hope to accomplish by treatment? It also takes a conservative prescribing bias on the part of the prescriber. 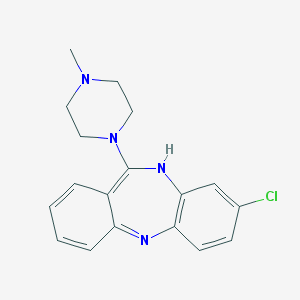 Stimulants are potent medications that can alter a person's state of consciousness. They are potentially addicting medications and that can result in craving or wanting to take the medication irrespective of any therapeutic effect. The wide availability of stimulants led to the first amphetamine epidemic in the United States. When I first started out in psychiatry, I was still seeing people who became addicted to stimulants when they were widely prescribed for weight loss. It is well known that the medications were ineffective for weight loss but people continued to take them at high doses in spite of the fact that they had not lost any weight. In talking with people about what drives this many people feel like they are only competent when taking stimulants. They believe that their cognitive and functional capacities are improved despite the fact that there is minimal evidence that this is occurring from their descriptions of what they are doing at work or in their family. There are a number of strategies in clinical practice to avoid some of the problems with excessive stimulant prescriptions that I will address in a separate post. My main point with this post was to look at some ways that people with mild subjective cognitive concerns, addictions, people seeking cognitive enhancement, people who have been functioning well but believe that they can function better come in to treatment for ADHD and get stimulant prescriptions. Supplementary 1: Literature was used to construct these hypothetical scenarios. Will The AI Apocalypse Be Worse Than Customer Service? I am a survivalist and make no excuses for it. I have posted my experiences in the cold weather and nearly freezing to death. I am sure that is part of what makes a survivalist. That combined with an early recognition that men often don't make rational decisions. They are capable of making irrational decisions on a grand scale. 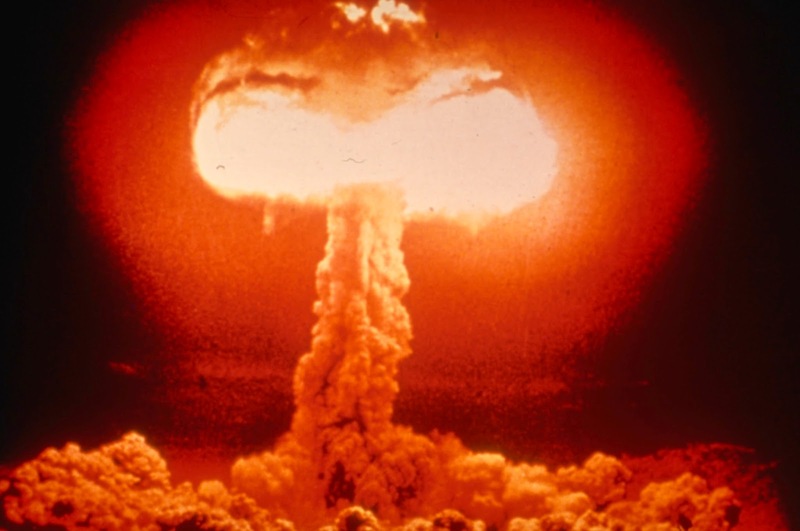 I was in grade school during the Cuban Missile Crisis. Being in a small town, we escaped all of the duck and cover exercises that kids in the big city went through. But paranoia about the Russians, nuclear war, and radioactive fallout was always there. I worked for the town library in the 1970s and found out it had been the local nuclear fallout shelter. I spent days clearing out steel 30 gallon drums that were supposed to double as water and waste containers in a fallout emergency. In those days before atmospheric nuclear tests were banned, I can still recall a radioactive cloud passing over our town. Experts from the state university were on television talking about Strontium-90 in the fallout and how that could end up in milk products. My grandfather picked up on that and referred to it as "Strawberry-90". He was somewhat of a radical, predicting that there was going to be a "revolution" at some point as the ultimate solution to a corrupt government. Survivalism may have genetic determinants. I was surprised when Stephen Hawking came out earlier this year and said that artificial intelligence (AI) represented a threat to humans. I have seen all of the Terminator films and the Sarah Connor Chronicles. As expected, any tales of a band of zealots surviving against all odds appeals to me. But then it seemed that this was more than a cultural and artistic effort. One of the arguments by Bostrom suggests that the survival of all of the animals on the planet depends on the animal with the highest intelligence - homo sapiens. If a machine intelligence was developed one day that surpassed human intelligence it would follow that the fate of humans would depend on that machine intelligence. There are competing arguments out there that suggest a model where the AI interests and human interests would compete politically. Can you imagine how humans would fare in our current political systems? A lot of the experts suggest that we won't have to imagine battling robots in human form and that makes sense. It is clear that there are thousands of cyber attacks against our infrastructure every day. Imagine what a concentrated AI presence unencumbered by sociopathy or patriotism could do? Imagining the battlefield of the future scenes from any Terminator film or same-themed video game, I decided this morning that you don't need a high tech approach to wreak havoc among the populace and drain their resources. You only need Customer Service. The concept needs to be refined to modern customer service. Even in the early days of the Internet, you could talk to a fellow human and they would hang in there with you until the problem was solved. I can recall calling Gateway Computers for an out-of-the-box problem back in the 1990s. The technical assistance rep and I completely disassembled and reassembled my PC over the next 2 hours. And the end result was that it worked perfectly for the next 5 years. I doubt that anything remotely that heroic happens today. Twenty one days ago I downloaded graphics software from Amazon. I am an Amazon Prime customer and order just about everything from them. I am not a stockholder and my only interest is in getting things that nobody else stocks as soon as possible. I had previously downloaded software from them and everything went well. This time, I got an activation code and no serial number. I complained to customer service and got an e-mail saying we will give you your money back but for the serial number problem you need to contact the manufacturer. To back up a minute, I have no idea how I got that e-mail through to Amazon and could not replicate what I did in a hundred tries. The obstructionist beauty that underlies all telephone queues and Internet sites is that it is very clear that they are not really designed to get you through to anyone. It is a maze of dead ends and non answers. At many of the dead ends you are polled: "Was this page helpful?". So far I have not found a single page that was. The dead ends at the computer graphics software site were even more formidable. In order to contact customer service I had to set up an account. After doing that I needed a serial number. Of course that was my question in the first place. How can I ask about getting a serial number when I need a serial number to ask the question? It seemed like the ultimate dead end. Amazon did send me a customer service number for the software company. This number was not available on the company's web site. In calling the number, their queue provided 4 options none of which applied to me. It gave options for order numbers that started with different numbers and I had an Amazon number that did not fit any of the choices. Just like my previous adventure in medical diagnostic queues - I picked one. A scratchy recording of bad electronic music started playing. It was interrupted every minute by a worse electronic voice telling me how important my call was and how I would be forwarded to a customer service rep. That went on for half an hour and then the voice said: "We are sorry but there is no one here to take your call. Please leave a message with your number and we will get back to you?" That was hours ago. Given the attitude projected by this company, I am not holding my breath on the return call. I have 1 week left to try to activate software that I paid over $400 for. There is no solution in sight and it does not appear anyone is even interested in solving the problem, except me. I can get my money back - but the whole point of this is that I really want to work with that software. Implications for the AI Apocalypse? It doesn't take much to defeat Internet dependent humans and deplete their resources. I have actually taken PTO to try to accomplish this. I don't think there will be a shot fired in the AI Apocalypse of the future. No intense battles between humans and cyborgs. No Doomsday Weapon. Just a low tech endless loop of customer service dead ends. Supplementary 1: Photo credit here is FEMA. It is an open access copyright free photo per their web site. Supplementary 2: My customer service problem was resolved today (on Tuesday November 25, 2014). The final solution was given by Amazon and they deserve the credit for resolving this problem. I don't think that detracts from noting the overall trend of decreasing support and what that implies for IT in healthcare and the culture in general. 1. Managed care and all that it involves including Accountable Care Organizations (ACOs), Pharmaceutical Benefit Managers (PBMs) and the Substance Abuse and Mental Health Services Administration (SAMHSA) must go. It should be evident to anyone that these organizations have not contributed to cost effectiveness, innovation, quality or efficiency. Instead they are largely responsible for an additional hidden tax on all Americans. I am referring to the typical high deductible health insurance plans that results in thousands of dollars in copays and premiums before any health care has been received and the $250,000 in out of pocket costs that any 65 year old couple can expect to pay in additional health care costs. Contrary to their advertising, managed care organizations disempower patients and their physicians and are the largest obstacle to care in this country. Their disproportionate effect on psychiatric and substance use disorder services has been well documented. 2. Centers of excellence rather than collaborative care is the primary goal. All of the managed care forces and their political backers in the first point above are making the argument that we cannot possibly produce enough psychiatrists to meet the need in this country. They maintain that argument despite the fact that the US currently has about 1/4 the number of psychiatrists per capita as Switzerland, significantly fewer than 18 of 32 OECD countries, and is only 1 of 3 countries where the number of psychiatrists is decreasing. Instead of developing a rational triage system, their solution has been to say that anyone can provide psychiatric services or that a psychiatrist reading screening checklists like the PHQ-9 is some kind of psychiatric care. This is both an absurd characterization of psychiatry and a non-solution to the problem. Psychiatric specialists need to be available to treat the most difficult to treat disorders. They don't need to see everyone taking an antidepressant or everyone with insomnia. They need to see people with difficult to diagnose problems and treatment resistant mood, anxiety, psychotic, neurocognitive, substance use, and psychotic disorders. They need to see this population both for diagnostic clarification and treatment. Centers of excellence need to be developed around these disorders and the associated treatment delivery. There are current models that develop statewide systems of care around centers of excellence that seek to provide the highest quality of care to residents in that state. 3. The administration of systems at the local level needs to be done from a clinical and not a financial point of view. The split systems of care (administrative versus clinical) is one of many sources of poor quality care. 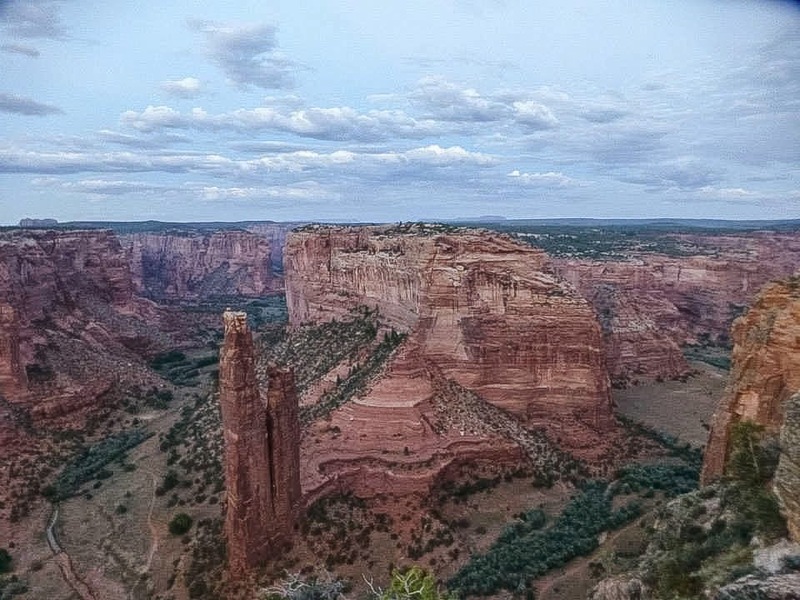 It has resulted in some situations as absurd as administrators believing that they can design systems of mental health care without input from clinicians. This is especially problematic in treating patients who have problems with aggression. Psychiatric training needs to include specific instruction on how to clinically administer these systems of care. 4. The psychiatric infrastructure needs to be rebuilt. That includes both community and state hospitals. Very clear criteria need to be established for admission to these facilities since state hospitals in recent times have been the only housing option for people with severe problems. The concept of "treatability" has been inappropriately applied by federal regulators. I worked for years as a Medicare reviewer and reviewed many state hospital records where I was asked whether or not the patient had achieved maximum benefit from hospitalization. That would allow the administrative authority that I was working for at the time to deny any payment to the hospital from that point on. The reality is that the patient was still severely disabled and could not live on their own, with their relatives, or in whatever residential facilities existed in the state. Whether there was continued payment or not, there was no place to send the patient due to the presence of a chronic severe disorder. That is still the problem today. Rationing has resulted in a severely constricted infrastructure that does not match the needs of the patient population. A state hospital system cannot exist in a vacuum. There needs to be an established system of residential facilities apart from those hospitals that can accept people who may never acquire the skills to live in a group home setting or independently. 5. An emphasis on independent living and competitive or supported employment needs to be the priority of any mental health system. The community psychiatry movement introduced an important bias - that people with severe mental illnesses should always live independently rather than in an institution if possible. That is a very important concept but it is time to move beyond that basic bias to a more comprehensive approach. That includes not only the vocational rehabilitation aspects but a renewed emphasis on the cognitive and functional capacity aspects of severe mental illnesses. We now have large detailed studies of cognitive deficits in groups of patients with schizophrenia, bipolar disorder and substance use disorders. That knowledge has not been used to implement any innovative approaches to residential living or vocational rehabilitation. Treatment rather than rehabilitative approaches to these deficits need continued emphasis and research. The comprehensive treatment of any person with schizophrenia or a mood disorder should include an assessment of cognitive problems beyond the usual approach of treating symptoms. 6. Increased availability of psychotherapy and case management services. Medicalization has become a popular buzzword by journalists and critics of psychiatry. If you ask any psychiatrist about the likely causes of increased prescribing and attempts to treat all problems with medications the likely response will be that there are no other resources left to treat the problems. Many managed care systems have eliminated psychotherapists from their clinics or restricted access to available services. Family and marital therapy is often not available at all. Many counties have severely restricted the availability of placements for children with severe problems. There are clear population based approaches that have not been implemented on a wide scale basis including computerized psychotherapy, brief cognitive behavioral therapies, mindfulness based therapies, basic behavioral approaches, and non-psychotherapy approaches like exercise. These therapies can not only be applied to a wide variety of problems but also can be part of a rational triage system to reduce the prescription of medications and assure that psychiatrists are seeing only the most severe disorders. This system would also be an asset to primary care physicians and provide them with viable options other than prescribing medications. 7. Reform of the civil commitment process is necessary. Civil commitment for involuntary treatment of mental illness and substance use problems is highly subjective and varies considerably from county to county within the same state. That variance is largely due to variability in resources form county to county and interpretations of the statutes that generally are in line with the level of resources. Civil commitment and associated legal functions such as conservatorship or guardianship can be life saving and life changing interventions. A better infrastructure will give legal authorities more confidence that a viable intervention can be accomplished that will reverse the reasons why the person has entered the legal system. But beyond that it has to be clear that managed care definitions of "dangerousness" and interpretations of "imminent dangerousness" are basically rationalizations to do nothing. There also needs to be an avenue for preventing the incarceration of mentally ill and substance using patients for minor offenses and diverting them to treatment programs in the community. Another area where legal interventions are critically needed is guardianship and conservatorship decisions for mentally ill patients in need of acute medical care. Civil commitment, conservatorship, guardianship, and substitute decision makers all need to be rapid parallel processes done through the same probate court rather than different courts and different jurisdictions. It is more likely that experienced judges and referees will be able to make better decisions. 8. Better public health interventions for violence and aggression are needed. There has been no progress in this area due to the political stalemate on gun control or gun access. That never addresses the state of mind prior to the violent incident. The necessary public health interventions need to come at that level and there needs to be centers where aggressive behavior can be addressed and treated before there are adverse outcomes. Beyond that immediate need there is also very little dissemination of the information that is already known about childhood adversity and adult mental health outcomes. There is so much critical information out there about the adverse impact of certain social experiences in childhood that are not public knowledge and that should be widely available. 9. Pharmacovigilance and pharmacosurveillance services need to be developed in the same way that access to controlled substances prescriptions have been developed in many states. We have been hearing about "Big Data". Managed care systems have vast amounts of data that they consider to be proprietary that is analyzed from a business rather than clinical perspective. Any clinician prescribing medications should get a monthly report on their prescribing patterns relative to all physicians and fellow specialists and subspecialists. Statistical models of conservative prescribing and polypharmacy need to be developed. Prescribing patterns associated with the highest complication rates need to be identified. Feedback needs to occur at the level of the individual physician and the reports need an adequate amount of detail. Literature based on data mining large PBM data bases is not useful to individual physicians. With current pharmacy databases there is no reason why this system can not be developed nationwide. 10. Better neuroscience training for psychiatrists and psychiatric trainees. We are past the point where a focus on pharmacology can inform a psychiatrist about how a prescription might affect brain functioning. A detailed knowledge of signaling systems including many systems outside of the nervous system and how they affect plasticity is a requirement for the future. A detailed knowledge of these systems is necessary to understand brain functioning and normal and abnormal conscious states. There needs to be an emphasis on teaching neuroscience in psychiatric departments and correlating neuroscience with currently observed clinical phenomenon at a practical and theoretical level. 11. Medical detoxification from substances needs to be widely available. A lot of people forget that substance use disorders are in the DSM and there is a psychiatric subspecialty in Addiction. Even though we have more addiction specialists than ever, the quality of acute detoxification is worse than ever largely because it is another rationed service. People with significant withdrawal states are often sent home with a bottle of benzodiazepines or sent to a "social" detox setting with no medical supervision. There are specific goals for detoxification from addictive drugs including the prevention of withdrawal seizures, the prevention of delirious states, the prevention of psychotic states, and the prevention of suicide during acute withdrawal. It is a common expectation of the current system to expect a patient or their family to be managing withdrawal at home. The secondary expectation of detox is to assist the patient with transitioning to a safe setting where they can stop using the drug they were just detoxified from. My estimate from talking with primary care physicians is that only about 20% of the emergency departments and primary care physicians in any locale can refer people to functional detox units. The non-medical powers that be in the health care system decided long ago that detox was an "outpatient procedure." In most cases the translates to sending a person home and hoping they will make it to an outpatient appointment or an AA meeting. 12. The gross mismanagement of physicians has been a pathway to physician burnout, mass dissatisfaction, and a dumbed down assembly line approach to the practice of medicine and psychiatry. Physicians don’t need to be told how many people to see in a day, what to document, or how to treat people. The current collaborative care approach can be seen as being due (in part) to a mind numbing productivity approach that was invented by the federal government and the business world in the first place. When I was trained as a physician, our teams knew what the resources were, knew what our tasks for the day were, and we could make a local resource allocation on that basis. It was an extremely efficient way to practice medicine. At some point, administrators developed “productivity” standards where physicians were expected to apply a totally subjective billing and coding scheme to a patient interaction and do that repetitively all day long. There were rarely two interactions that were alike, but for the past 20 years physicians have pretended that they were and that this productivity concept had some real meaning. Administrators could simply increase “productivity standards” to make it seem like more and more work was being done. In some clinics this process reached an absurd level – 40 or 50 patients a day. People with complex problems were being seen for minutes and physicians were going along with it because their salary depended on it. Productivity is another managed care concept that needs to go. That is my top twelve list for fixing the broken mental health system. They are obvious problems supported by my clinical experience. They are consistent with the frequent problems I have had advocating for the resources I needed to treat patients with severe mental illness. The government and business partnerships in health care have been obstacles to care. As long as these partners continue to ration health care and siphon off large profits while rationing care and resources to the patients who are paying for them nothing will change. This pattern has been most noticeable in psychiatric services. Contrary to a lot of rhetoric, the problem with the mental health system is not the pharmaceutical companies behaving like other businesses. It is not the DSM. It can't be organized psychiatry because organized psychiatry is politically weak and ineffective. It is not physician conflicts of interest because they are plentiful and the more important ones on the business side are never discussed. This so-called system was brought to you by the government and the health care companies that lobby all politicians. The idea that a system of medical care run by business people and politicians who know nothing about medicine or psychiatry is somehow a good idea, is an ongoing American pipe dream. It is time for the country to snap out of it. Supplementary 1: The photo credits here go to Ruzica Vuskovic, MD. Supplementary 2: I will be adding in links to previous posts at some point but ran out of time tonight. Supplementary 3: I added on Monday 11/17/2014. Scourge Of Prior Authorization Finally Acknowledged? A copy of Minnesota Medicine, the journal of the Minnesota Medical Association (MMA) was delivered to my office this morning. I stopped paying dues to the MMA about 20 years ago. My rationale was that I was already paying significant dues to two professional organizations that were doing nothing to protect me from the repeated abuses of the managed care industry - why pay a third to do an equally poor job? I was probably more steamed at the MMA at the time because I realized that managed care in Minnesota was more than just an annoying business practice, it was institutionalized in both the statutes and administrative practices of the state government. I sent the President of the MMA a letter to that effect. I don't have his response but it did not persuade me to send them another check. I can only guess that this is a marketing idea to persuade the disaffected that the MMA is now a vital organization that appreciates medical practice in the state in many cases has come perilously close to being a living hell. That living hell is courtesy of managed care and the various heads of that hydra. Despite those reservations, on the front page just below the journal title was this headline: The Prior Authorization Burden and just below that the subtitle: The process is frustrating, time-consuming and costly. No kidding. Any casual reader of this blog may recognize that this is probably one of the only sites where you can count on rigorous criticism and aggressive opposition to all managed care techniques. At the top of that list is prior authorization. I have gone as far as coming up with a "no-Rx" logo that I use to symbolize the problem. That symbol is at the top of this post. It means that a managed care company (MCO) or pharmaceutical benefit manager (PBM) can deny prescriptions and therefore medication to the patient. That denial is also a denial of the prescription of the physician and everything that involves. State and federal governments have granted these organizations this power based on some loose idea that it would save patients and the governments money. These governments are still enamored with that idea despite the overwhelming evidence that money is not really saved, it is merely redirected to the bottom line of MCOs and PBMs. The only people who pay the price are patients and physicians. So my first and primary question was "Does the medical society finally get it?" They certainly missed the boat on utilization review and as a result managed care organizations in Minnesota generally make the discharge decisions on patients. Will they also continue to make decisions about what medications can be prescribed based on their profit margins rather than what a physician in a treatment relationship with the patient decides? The initial example seemed hopeful. It was the story about a primary care physician trying to prescribe a rescue inhaler for his asthmatic patient. He had taken a specific brand of generic albuterol for years. The prescription was rejected. He wrote subsequent decisions for identical medications in the same category Proventil and that was rejected. He sent in a script for ProAir and that was rejected. He was told to choose another inhaler but not given a name to choose. He picked Xopenex or levalbuterol rather than albuterol and that was accepted. What is the rationale for a PBM having a doctor guess about which inhaler will be approved for days while a patient with severe asthma goes through the weekend without a rescue inhaler? In a word money, the only rationale for picking a newer and (usually) more expensive inhaler is that the PBM has some kind of financial deal with that manufacturer. The article does go on to explore that theme and references a study of six Minnesota Health Plans. The researcher Barbara Daiker, RN, PhD found that there were 1,036 drugs that required prior authorization but only 6 were on the prior authorization list of all 6 health plans. Only 26 more were on 5 of the 6 lists. This level of variability suggests that the decisions are not based on scientific evidence or quality concerns but financial models. It would have been very useful to know if any of these lists included generic drugs. Without a scientific or quality basis for these lists, the obvious model is a purely financial one. That is also consistent with the tactics used by these companies that I have documented in this blog such as refusing to cover generic antidepressants that can be purchased for as little as $4.00 per month. One of the facts about prior authorization is that like most managed care tactics, the burden has fallen disproportionately on psychiatric practice and patients with mental illness. One of the first articles demonstrating the adverse effects of prior authorization was published in the New England Journal of Medicine in 1994 (2) showing that when prescription limits were imposed on patients with severe chronic mental illness it resulted in increased health care costs that exceeded the savings in medication by a factor of 17. In a more recent study, Driscoll and Fleeter (3), estimated the adverse effects (hospitalization, lost wages, homelessness, incarceration, higher medical costs) of prior authorization applied to the population of Ohio residents with schizophrenia and bipolar disorder. They used conservative estimates of the population at risk and treatment discontinuity as a result of prior authorization programs. They determined associated indirect costs with these treatment discontinuities and summarized his results in the following table. The Driscoll and Fleeter study replicates several other studies that illustrate the problems with the "cost savings" of prior authorization. Those savings to an MCO or PBM are shifted to the patient and the taxpayer. These studies are consistent with the recent concern about the mass incarceration of the mentally ill. Nobody is paying attention to the fact that when this happens the cost of care is now paid by the correctional system and not the person's insurance. If a person with a substance use problem is incarcerated any medication they take to maintain abstinence is generally discontinued resulting in more savings to the MCO. In addition to the financial analysis, the psychiatric care of these persons is often severely disrupted because correctional systems are now imposing their own form of a limited formulary so that the patient may get a medication, but not one that has been carefully assessed to work. These studies all demonstrate that "savings" from prior authorization is savings to a health care company and it does not benefit the patient involved. The costs to the providers in the case of the above table were not even used but per my previous reference are considerable. I would also add that since this study came out most of the original second generation antipsychotics are now generic drugs and that reduces the Annual Cost Savings considerably. The estimates for Annual Additional Cost are much higher and don't include the paperwork costs for physicians. In other words the net added cost of prior authorization for psychiatry is considerable higher in 2014 than it was in 2008. With all of these considerations it is good to see the state medical society finally paying attention. That doesn't mean anything will be done and the evidence for that is contained in this quote from Janet Silversmith, Policy Director of the MMA: "We are not trying to eliminate drug prior authorization. We are just trying to add some sanity to the process. As it's practiced now we believe drug prior authorization is an onerous, inefficient process that sometimes harms patients." Why wouldn't any medical society want to kill that kind of process? 2: Soumerai SB, McLaughlin TJ, Ross-Degnan D, Casteris CS, Bollini P. Effects of a limit on Medicaid drug-reimbursement benefits on the use of psychotropic agents and acute mental health services by patients with schizophrenia. N Engl J Med. 1994 Sep 8;331(10):650-5. PubMed PMID: 8052275. 3: Howard Fleeter, PhD. 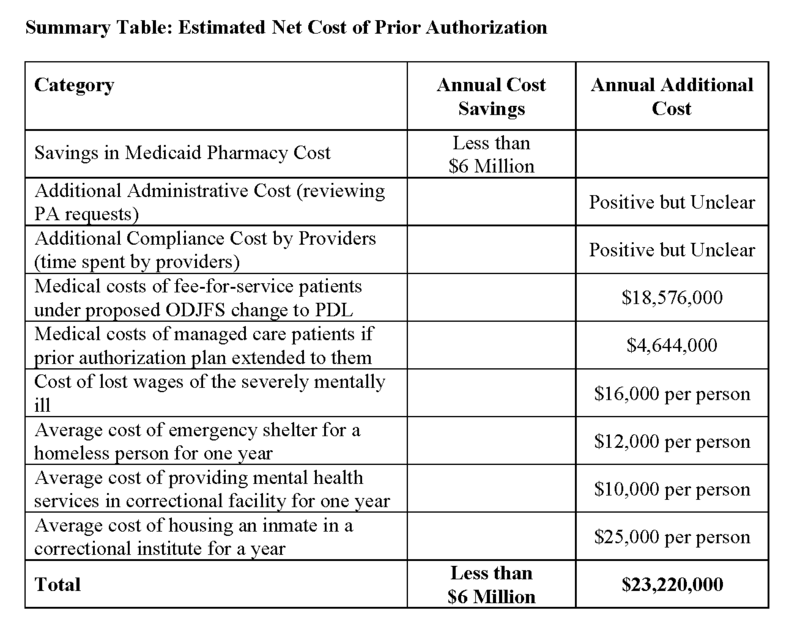 Estimate of the Net Cost of A Prior Authorization Requirement for Certain Mental Health Medications. Prepared by Driscoll and Fleeter for National Alliance on Mental Illness Ohio. August 2008. (Table used with permission). 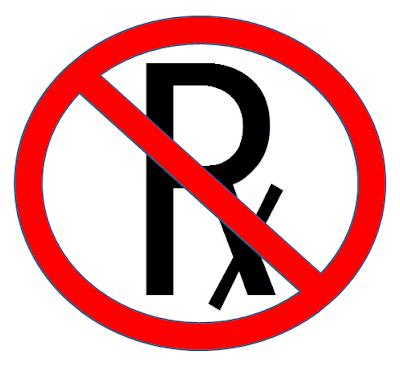 Supplementary 1: The "No - Rx" logo simultaneously symbolizes no prescription for the patient, no acceptance of a prescription from a trained and licensed physician, cost savings for the insurance entity that contracts with the patient to cover their prescription medications, and increased costs for all of the providers, employers, governments and correctional systems that need to address discontinuities in care. Up until fairly recently, every psychiatrist at some point in their career was aware of a state hospital system. The state hospitals were at one point the only available resource for long term care for most residents in a state. They were also the facilities designated to care for people who were mentally ill and in some cases designated as dangerous to society. That includes a population with severe neuropsychiatric illness who have disorders that do not respond well to treatment and always represent some risk in terms of chronic aggressive behavior. There is a population of people who are adjudicated as mentally ill but criminally culpable - that is they have failed a Not Guilty By Reason of Insanity (NGRI) defense. This same group can be in a state facility being treated to the point where they are competent to proceed to trial or the minority group of NGRI defendants who have been adjudicated as not guilty but still need treatment before they can be released. There is an assumption at some nonmedical level that psychopaths and people with antisocial personality disorders associated with aggression can be separated from the mentally ill persons and sent to the correctional system while some of those same definitions result in indefinite stays in specialized state mental hospitals. The legal systems of some states designate certain forms of psychopathy or other criminal behavior a mental illness in order to allow for indefinite detention of people who are considered to have committed more heinous crimes like violent sexual offenses or sexual offenses against minors. At one point there were very large numbers of persons in state mental hospitals. Two historic movements resulted in large numbers of these patients being released. The first was the deinstitutionalization movement. Historian Edward Shorter attributes the start of deinstitutionalization to psychopharmacology - specifically the invention of chlorpromazine that was FDA approved in 1954. According to Shorter, the total number of patients in state and county mental hospitals declined from a high of 559,000 in 1955 to a low of 107,000 in 1980 or an 80% decrease. In reality, many of the discharged patients did not take the medication reliably or developed side effects. Shorter credits the "antipsychiatry movement" with providing continued impetus for state hospital discharges by suggesting that the institutions could be replaced by ""therapeutic communities" - a romanticized version of welcoming friends and neighbors clasping the mentally ill to their bosoms." He also credits the National Institute of Mental Health with promoting this view. 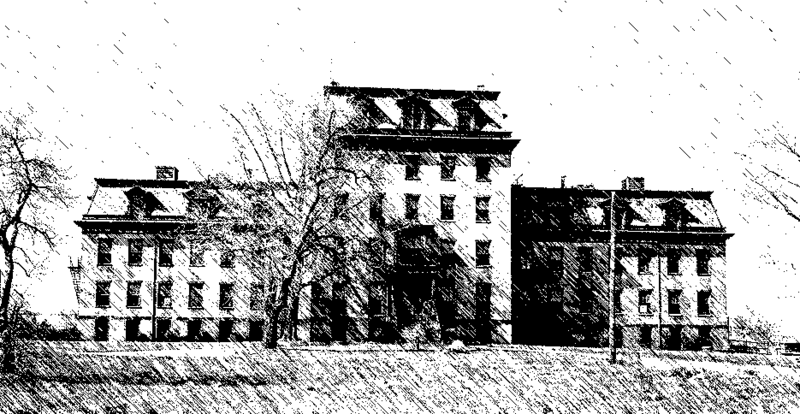 The movement led to large numbers of mentally ill persons being homeless, not cared for medically or physically, and with dwindling resources for outpatient medical care when Community Mental Health Centers started to focus on providing psychotherapy for people without severe mental illnesses. The Treatment Advocacy Center looks at available bed per 100,000 population as a rate. They put the minimum acceptable figure at 50 beds/100,000. In 1955, there were 344 beds per 100,000. In 2005, that number had dwindled down to an average of 17/100,000 with a range of 7.1 to 50. According to that same report 42 of 50 states had less than the minimum recommended number. My copy of Shorter's text was published in 1997 and it says nothing about the managed care era and the effect of managed care on state hospital systems and the community systems of care that were supposed to be there to treat the deinstitutionalized. There were few of these systems at the outset. In the 1970s and 1980s there was the beginning of a larger community psychiatry movement and some experts began to develop systems of care to support patients who had been in state hospitals in the community. Those systems of care were by far the exceptions rather than the rule. When managed care took over there was no longer an asylum or a containment function in community hospitals. People with severe mental illnesses could no longer go to short term hospitals because they were no longer able to function or they had numerous problems that were too difficult to be managed in an outpatient setting. The only reason for hospitalization was the managed care concept of "dangerousness". Suddenly it no longer mattered if you were manic and squandering your resources, ruining your marriage and losing your job. Unless "suicidality" was detected or there were threats to kill somebody, a person would be discharged from the emergency department. Not only that but, anything said in the emergency department was now taken at face value. A patient could have been tearing up their home, obviously paranoid and threatening a neighbor. As long as that person said he or she had no intent to harm themselves or anyone else, they would be discharged even if the family bringing them to the hospital was horrified with that decision. That is the state of managed care and its impact on psychiatry even to this day. The reason is quite clear. Several studies have shown that adequate community treatment of some persons with mental illness may be no less expensive than state hospital treatment. It is only by providing rationed or no treatment at all that a state or health care company saves money. That is also referred to as "cost-effective" care by the people who are rationing care. The other interesting twist is the spin put on deinstitutionalization. I know one of the leading proponents of this process in the 1970s and had him as an individual supervisor. I can still recall his presentation about why he became interested in community psychiatry and was one of the leaders. It was a single black and white photo of a large gymnasium sized room in a state hospital. There were about a hundred men in the photo and there was room enough to have all of their cots arranged edge-to-edge across the floor. So never let it be said that state hospitals were luxurious places to begin with. That fact alone was one of the main reasons that psychiatrists were interested in getting patients out. 1. People with psychiatric illnesses used to pack state hospitals and now they pack jails and emergency departments. One of the primary goals of the shadow state hospital is to give the public the impression that this is more humane and more effective treatment than real state hospitals run by psychiatrists. It also effectively removes a large block of people with chronic mental illness from active treatment relationships with psychiatrists. Any family advocates for these patients and psychiatrists themselves can unite to advocate for these patients but they are neutralized when the system is managed to allow a few 20 minute appointments with the psychiatrist per year. 2. Rationing to the point of of the absurd is a theme that crops up on a regular basis over time. That is true, whether you were an asylum psychiatrist seeing 500 patients or a hospital where serious injuries to staff and patients occurs. Another goal of the shadow state hospital is to give the impression that no matter what, administrators somehow have special knowledge on how to run psychiatric services. Nothing could be further from the truth. The psychiatrists themselves end up jumping through a large number of administrative hoops since they are caught in this endless stream of bureaucracy and have less and less time for direct patient contact. Bureaucrats with no appreciation of clinical medicine lack an appreciation for two critical factors in psychiatry. Those factors are the quality of all assessments of a patient's problem depends on the time spent in direct contact with that patient. The quality of any intervention including the prescription of medication also depends on time spent with the patient. Together that time and relationship with the patient is the best predictor of outcome. All administrative measures in the shadow state hospital seem to be designed to negatively impact that parameter, including the replacement of psychiatrists by "prescribers." 3. The shadow state hospital doesn't really need psychiatrists. Despite the fact that psychiatrists have (by far) the most training of any group of physicians or mental health professionals in hospital care and care of patients with the most serious mental illness, all of the administrative focus is the general elimination of psychiatrists. I think it makes perfect sense from the administrative side. If you are an administrator who is accountable to politicians or government bureaucrats - eliminating psychiatrists accomplishes two goals. The first is taking out any professional opposition to any measures that you decide to implement from the perspective of a person with little to no training in the treatment of mental illness. The second, is having a group of professional employees to scapegoat. What better arrangement could there be than hiring people who are overworked to the point that they have little time left to muster any opposition to your plans and that same overworking in a dangerous environment puts them at risk for adverse events that they can ultimately be blamed for? All of these events are the predictable outcome of people working in a split environment. 4. Collecting data on citizens for reasons other than their psychiatric care. To address the ongoing problem of gun violence by some of the mentally ill, many states have adopted legislation that allows a bureaucrat to collect data on people who have been committed for the purpose of putting them on a master list to prevent them from acquiring firearms. The number of people denied in this manner is very small compared with domestic violence perpetrators or felons, but that doesn't prevent this false solution to the problem of gun violence at the cost of collecting this data. In many states the only way to get into any existing mental health facilities is by civil commitment. There is also a process for collecting financial data on the same population for the purpose of collecting money for the cost of hospitalization. Is it ethically correct to forcibly collect fees from people with few resources who have been court ordered to get treatment? I don't think so but apparently state and county governments do. 5. Creating more administrative burdens to adequate treatment. Some people who were previously treated in state hospitals are in foster care settings. In Minnesota there was a recent ruling about developmentally disabled patients in a state hospital being secluded and restrained excessively. That resulted in a long court ruling that applied to that incident and resulted in a financial reward to members of the class action suit, the closing of that hospital, and several administrative procedures that started to affect the providers of adult foster care. In one case the administration of any "as needed" medication including sedatives for sleep, anti-anxiety medications, and antipsychotic medications - required a foster care provider to go online and complete a 7 page report. Even a few extra doctor ordered doses of medication per week results in a tremendous paper work burden. This burden was created for people who have been in stable foster care situations for years and who had been receiving excellent medical and psychiatric care. 6. The prevention of violence and the care of the violent or aggressive patient in the community is a more bothersome situation. Several years ago, a friend of mine told me that his son was involved in staffing a small group home that specialized in the treatment and support of violent mentally ill patients in their own adult foster care setting. If the patient because aggressive, the staff would use pads to hold the patient to the floor until the aggression passed. I was shocked to hear about this arrangement because there was no onsite supervision or training by anyone specializing in the treatment and containment of a physically aggressive person with mental illness. Treating this behavior in a hospital setting with a well trained staff and clear support by the administration is difficult enough. Now it seems that we have mini-facilities trying to provide some level of containment for aggression in residential buildings with a few staff on site. 7. The use of limited state hospital resources for political purposes continues. The best example is commitment for psychopathy or sexual offenses, both disorders that have no treatment and are not considered psychiatric disorders in most cases by the legal authorities. How is it that people committing sexual offenses are hospitalized indefinitely and people with severe mental illnesses are refused admission to hospitals and eventually incarcerated for minor crimes? Only through a shadow system. 8. The large population of mentally ill persons who are continuously cycling between the emergency department (ED), very brief and ineffective stays on short term psychiatric units, and jail. This constant churning is typically covered in the press as a reason for overcrowding of the ED, but the real travesty is that these patients never get their psychiatric and social problems resolved and that keeps them cycling in and out. Discharging a person with a severe mental illness from a short term psychiatric unit or the ED does not solve anything for that person. It is nothing more than an expensive time out. 9. The family as hospital staff has always been with us but it has not been as prevalent since the 1950s or 1960s. I can recall violent and aggressive patients cared for at home to the point that the entire home was trashed and family members and the patient in question had frequent severe injuries. Short of that scenario, it is much more common today that a family becomes the default hospital staff in cases where a person with severe mental illness does not meet the managed care "dangerousness criteria" for admission. That means the patient does not tell an emergency room physician or social worker that they are going to kill themselves or become aggressive. Family members recognize the person needs supervision and monitoring 24 hours a day/7days a week. I have really never met a family who could do that for more than a couple of days. Of course they should never be put in that position, especially with the fees and taxes that every family pays for health care in this country. Anybody who requires 24/7 supervision should be in the care of professional staff who can offer appropriate therapy and maintain a neutral relationship with the affected person. 10. It is all about the money. The war cry of managed care systems, government systems, and government systems managed like they are managed care systems is "cost effectiveness". It has been known since the Hay Report that psychiatric and mental health systems took a disproportionate hit relative to all other areas medicine. There has never really been an informed discussion of what a reasonable budget for the provision of mental health services should be. The cost of services is often impossible to find. That is a bureaucratic recipe for transferring money somewhere else. Even standard bureaucratic solutions like "a 5% budgetary cut across the board" will obviously hit the most marginally funded systems first and the hardest. Those services are psychiatric services. The Shadow State Hospital System can function as a funding source for other projects at the cost of providing treatment for persons with severe mental illness. 11. Let's all pretend that there is a real State Hospital System. The front end of this illusion usually starts out when a person actually meets managed care "dangerousness criteria" and the hospital case managers cannot discharge them. In this case, the court usually assists the hospital in getting the patient out. For example, there used to be a system to commit patients with substance use problems to treatment. Those patients are frequently released by courts on the basis that they "no longer do chemical dependency commitments". In the case of severely disabled patients with mental illness, the court may ignore that standard in a state commitment statutes and release the person for not being imminently dangerous. In both cases the patient is hospitalized for a few days longer than the 3-5 day managed care length of stay instead of being committed to a system of care. It appears as though something has occurred but it really has not. The Shadow State Hospital System allows the state and its partners in private business to establish covert control over any mental health system of care - to the detriment of the professionals and patients in that system. The exact number of administrative measures and facilities like the ones I outlined above are unknown. Shadow systems thrive on a lack of transparency, at least until the next scandal happens. At that point there seems to be some level of transparency, but it is always incomplete and the real story of what happened and why never seems to surface. "....one of the greatest social debacles of our time." 1: Shorter E, A History of Psychiatry. John Wiley & Sons. New York, 1997.